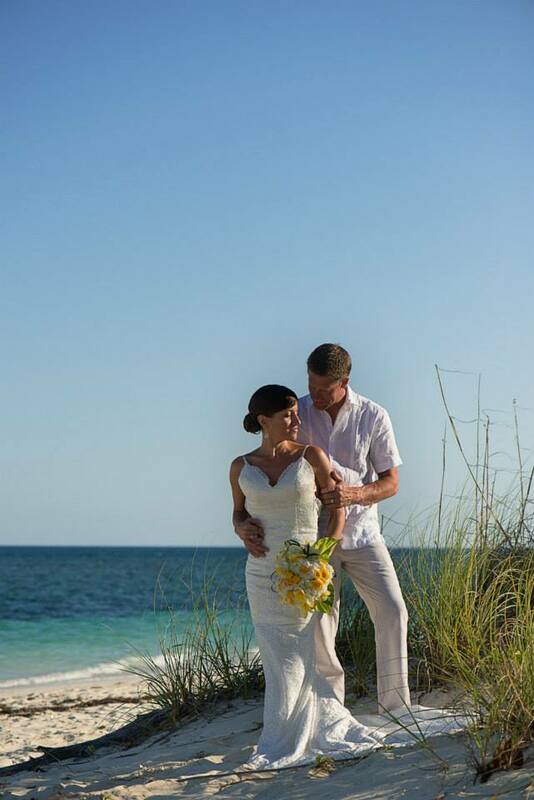 Craig and Abby found their Bahamas wedding paradise on Grand Bahama Island. Very familiar with these shores, the couple elected to host their wedding ceremony and reception at their beachfront condominium. Twenty-five family members and friends joined them for their special celebration in the sunshine. Abby and Craig tied the knot 5/5/2014 and celebrate their first anniversary today. We wish them a Happy Anniversary. Following a beach ceremony, Abby, Craig and their guests moved to the top floor ocean view terrace of their condominium to enjoy cocktails and passed hors d’oeuvres. Dinner was buffet style and featured Bahamian cuisine. The day after the wedding, photographer Erik Mosvold did a playful shoot of the couple at the island’s pier and other locations. Craig and Abby’s Coral Beach, Grand Bahama Island, ceremony. Chic Bahamas Weddings can help you plan your Bahamas wedding paradise celebration. We help couples to plan their events on private cays complete with gourmet cuisine and premium beverages, decor, music, et al. 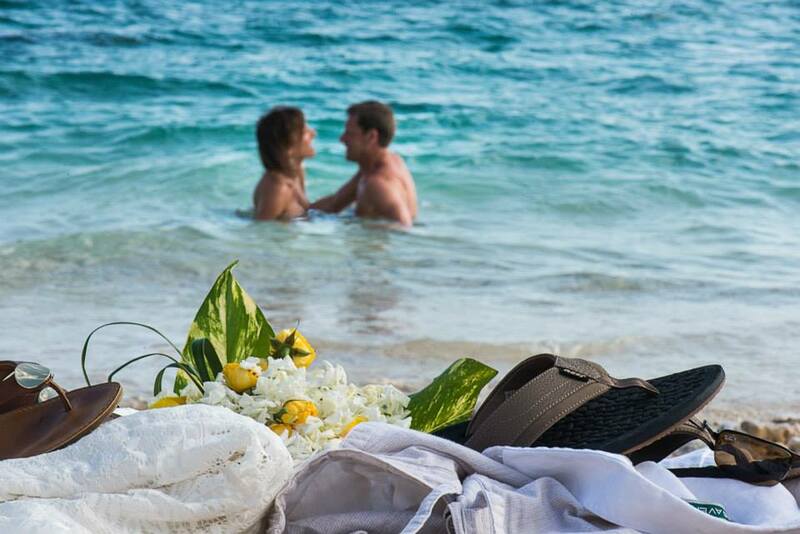 Our wedding services available on any island destination of your choice. We work with premier partners throughout the islands of the Bahamas to service your event. As your Bahamas wedding planner, you can relax and enjoy a stress free experience. Contact us today to begin planning. Photos courtesy of Erik Mosvold Photography.